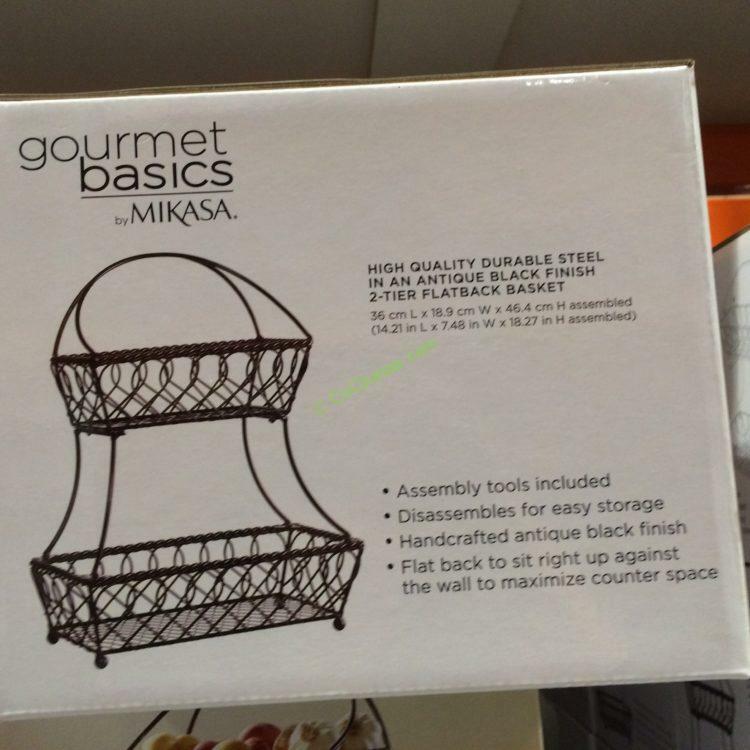 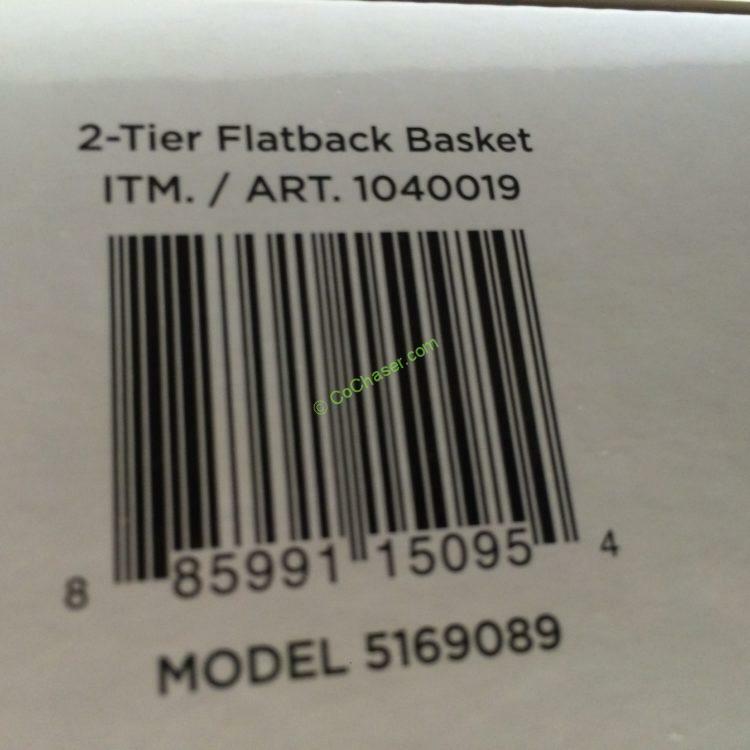 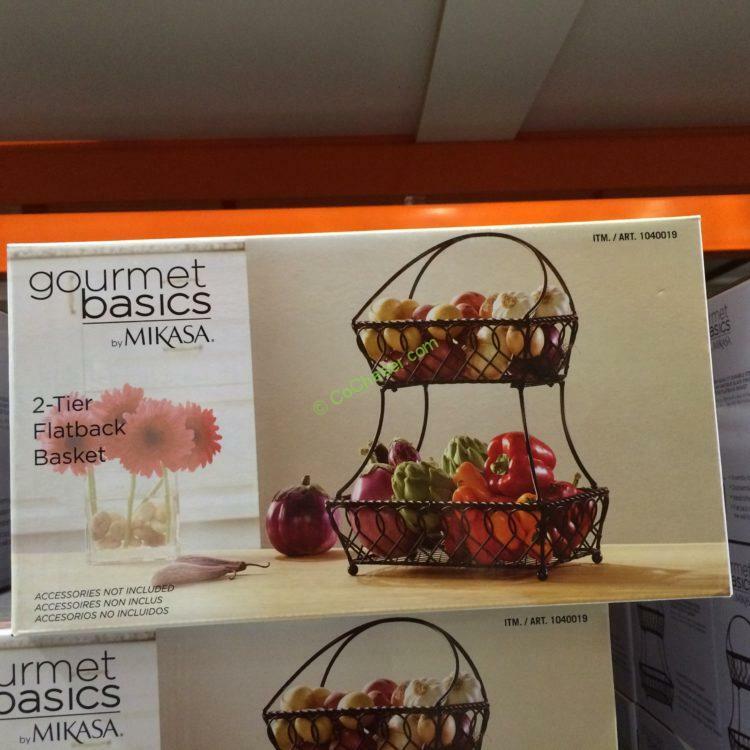 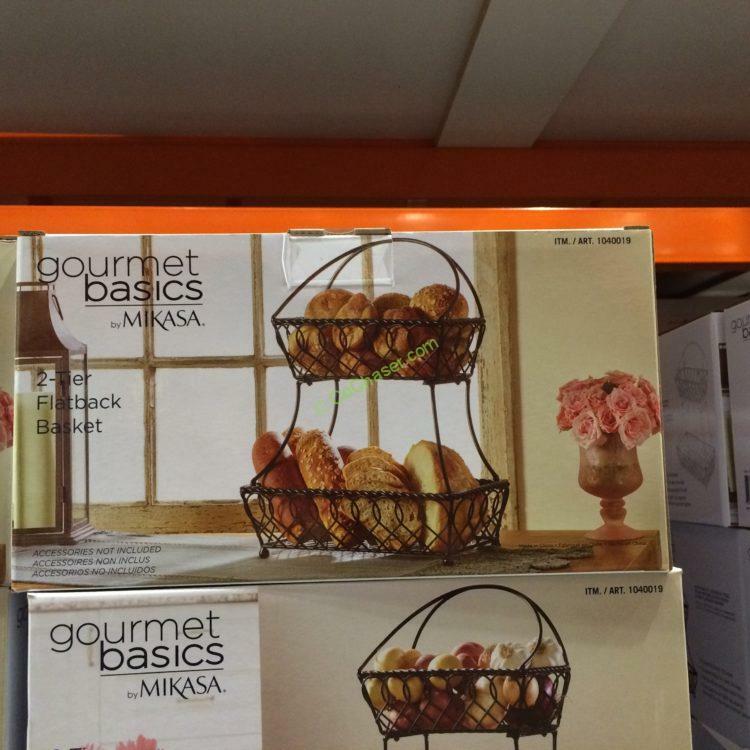 Made with high quality durable steel in an handcrafted antique black finish, this Gourmet Basics by Mikasa 2 Tier Flatback Basket looks very attractive. 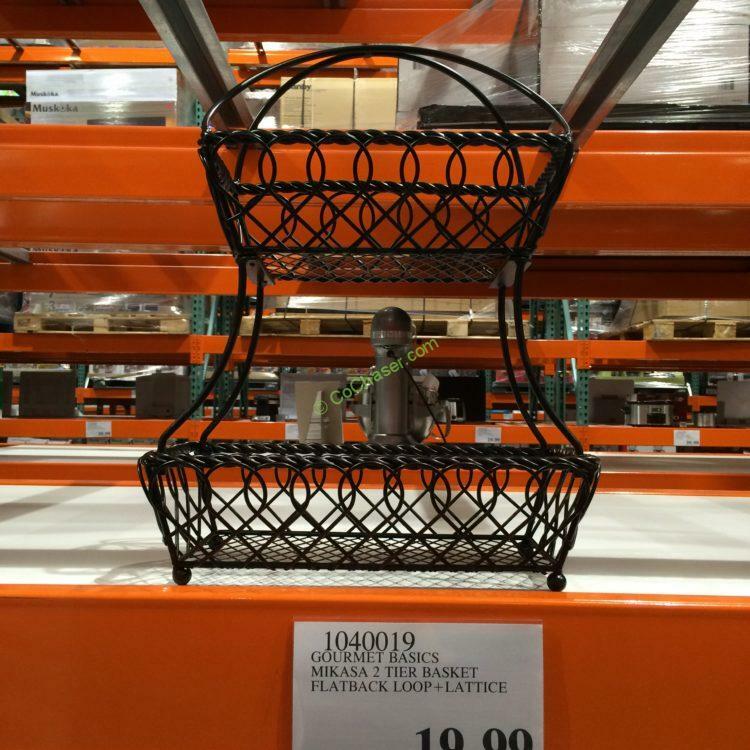 It can be used to display fresh fruits and vegetable, bread on the counter in your kitchen, or in your bathroom for towels and anything else. 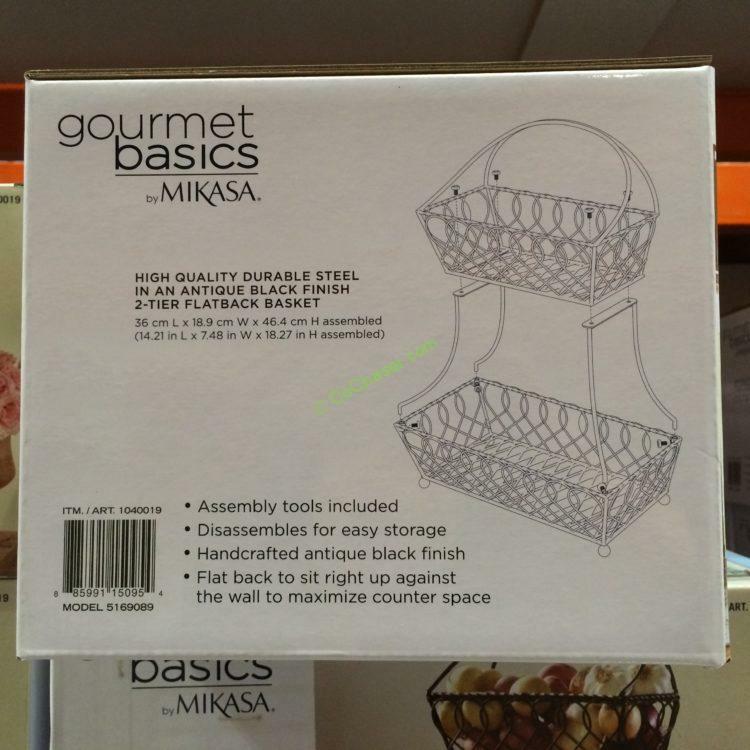 It flats back to sit right up against the wall that maximums counter space. 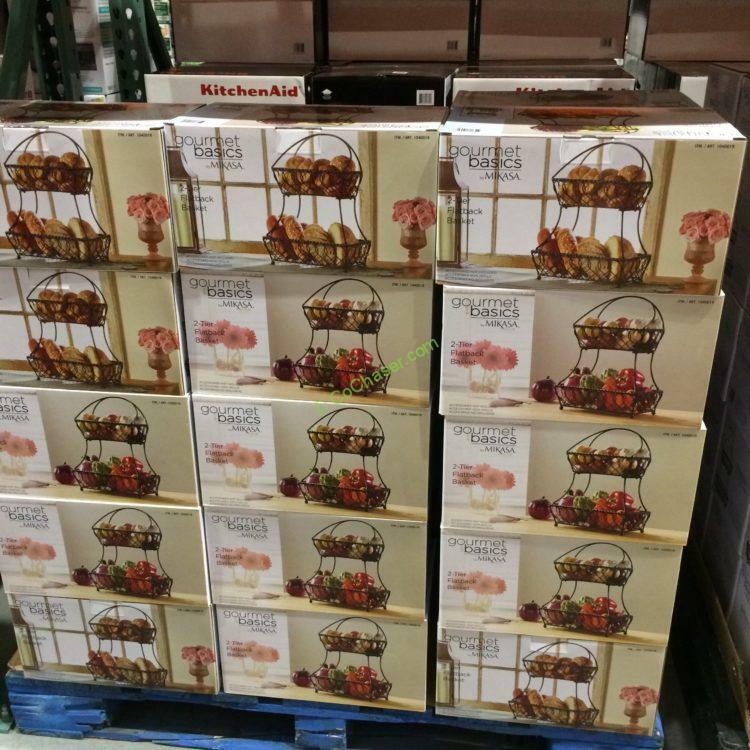 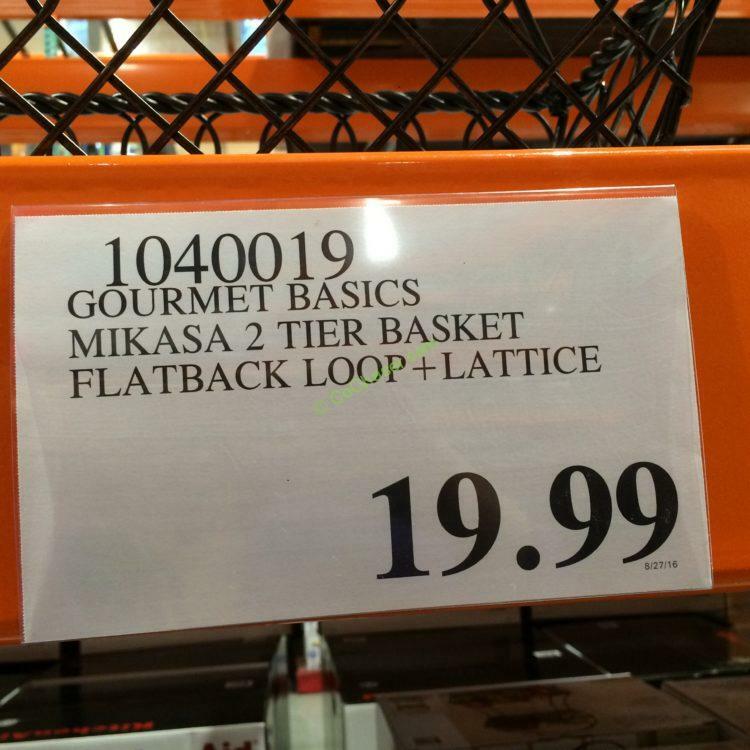 Costco offers this item at $19.99.